What a purrfect place for a snooze! Rainy, blue day here too! Looks pretty nice to me, too! Oh! That spot looks purrfect! Ah! Blanket Blues. Fair enough! Oh, i bet it is snuggly warm by the fire. Happy napping! That looks so cozy and warm! That looks like a good way to spend a holiday Monday! 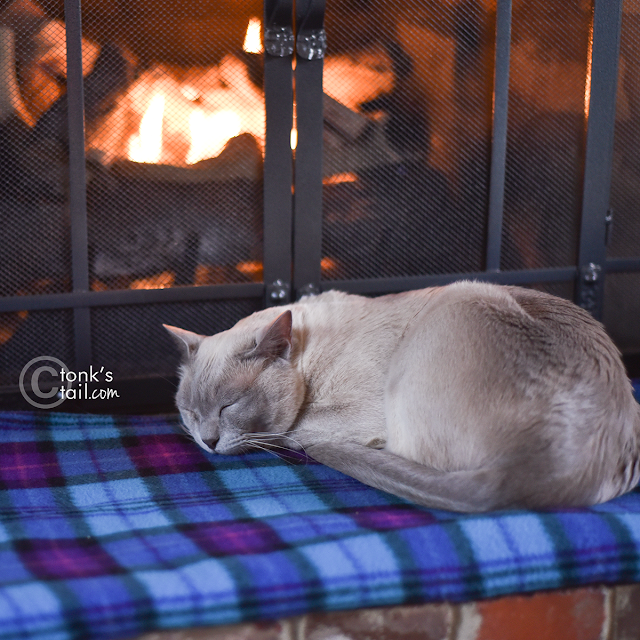 That looks like the purrfect way to spend a winter afternoon! That is a great shot, you look comfy. Some cat is in 7th heaven. We love that kind of blue Monday, too!